The concept of retention marketing is simple: Take action to increase the likelihood that your customers will purchase from you again. Everyone understands that retaining existing customers is less costly than acquiring new customers. That is common sense. But, personalization of your corporate brand does more than save marketing dollars – it strengthens the bond you have with existing customers and can significantly improve your bottom line. You have the capabilities to form a closer relationship with your clients and customers today than was humanly possible for companies just a few years ago. Social media and metadata provide you with an immense amount of information about your customers. The best part about it is that they like sharing this information. Consumers like having influence. Not only do they appreciate companies providing them with channels to interact with them, they are coming to expect it. The personalization of corporate brands is more than a trend; it is a new way of doing business that all companies must adapt. 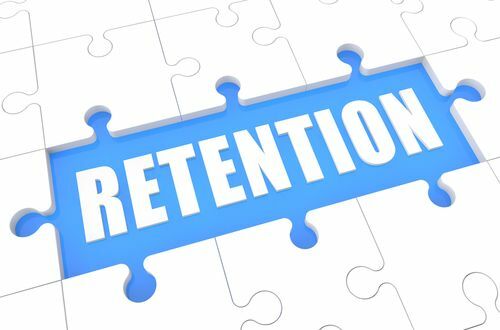 When your retention marketing includes personalization, it is more likely to improve customer satisfaction. Positive customer reviews and high user ratings make the acquisition of new customers much easier and less costly. Customers provide information about themselves during both their online activities and increasingly in their real world activities. When you utilize that collected information, you can significantly improve the fit of your products or services for consumers. Leveraging consumer data improves your customer’s experience. However, to fully optimize your retention marketing, you must provide rich metadata about your products and services so that they can be easily found when they are similar to or in-line with what consumers are looking for during their online activity. It is important for managers to understand that consumer ratings are based on both the quality of the consumer’s experience and the personality of the company.